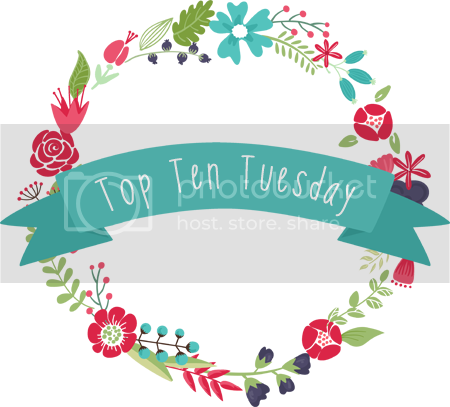 This week’s Top Ten Tuesday topic is the Top Twenty Diverse Titles Publishing In 2016. 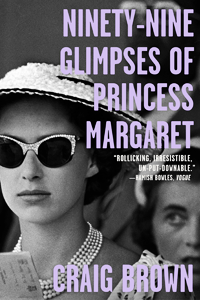 Get your Goodreads shelves and your credit cards ready because this is one list you will not want to miss! Today I’ve decided to put a little twist on this week’s Top Ten Tuesday prompt – Top Ten Books That Celebrate Diversity/Diverse Characters – and instead focus on the myriad of wonderful diverse books set to be published in the forthcoming year. The importance of diversity in fiction, be it racial, sexual, cultural, religious, socioeconomic or otherwise, cannot be overstated. Every teenager should have the ability to see their story, their truth, honoured and reflected back in the pages of the books they read. Thankfully, with titles such as these on the horizon, we are one step closer to accomplishing just that. Please note that this is not a definitive list of all diverse novels being published in 2016 but rather a selection of titles that I found most compelling and that I personally can’t wait for. Any omissions and/or inaccuracies are my own. In A Hidden Affinity, a princess with a forbidden magical gift falls in love with the rogueish, horse-training sister of the prince she’s supposed to marry. As I Descended is a retelling of Macbeth set at a contemporary Virginia boarding school. It centers around a lesbian couple who set out to dethrone the school’s resident Mean Girl, only to find themselves struggling to hang onto their sanity and their lives when they accidentally summon a trio of brutal, manipulative ghosts. Kaycee Jean McCoy, a girl with “yes, ma’am” ingrained in her DNA, lives in a small town where gay better be your mood and not your sexual orientation. When a beautiful and worldly new girl moves to town, Kaycee falls in love and her whole world goes to hell in a handbasket. Ultimately she must decide how much she’s willing to risk in order to gain their acceptance, even if it means losing everything. Sixteen-year-old Mnemba is one of the best safari guides in Nazwimbe. She tracks down grootslangs and griffins with ease but when she’s assigned to a unicorn naturalist, she’s unprepared to lead an expert. Worse, when Mr. Harving arrives, Mnemba can’t cope with her forbidden attraction to his daughter, Kara. When a manticore attack leaves Mr. Harving bed bound, Mnemba and Kara venture into the wilderness alone. Together they discover a plot by a powerful gang of poachers to enslave the beautiful unicorns, harnessing their supernatural strength to build a railway. To stop the gang, Mnemba and Kara must free the creatures and steal the moonstone that binds them in servitude, while avoiding capture themselves and struggling not to fall in love. Hawaiian gods guide a narcoleptic teenager as she solves the mystery of her ex-girlfriend’s murder – but their help only reinforces that she can’t trust anything she knows, including her own innocence. A young adult novel set on the Mississippi Gulf Coast about 17-year-old Ramona Leroux. She has always known she would only ever fall in love with a girl, until she finds herself reconsidering everything she thought she knew. The book tells the story of Amanda Hardy, who moves to a small town in Tennessee to live with her father. She wants to make friends and fit in, but Amanda has a secret: she used to be Andrew, and fears that the truth could cost her her new life, and her new love. Westing is not your typical school. For starters, you have to have one very important quality in order to be admitted — you have to be dying. Every student at Westing has been diagnosed with PPV, or the Peter Pan Virus. No one is expected to live to graduation. Then there’s the Eye of Know, the possibly powerful crystal amulet Monty bought online. Will it help her predict the future or fight back against the ignorant jerks who make fun of Thomas for being gay or Monty for having two moms? Maybe the Eye is here just in time, because the newest resident of their small town is scarier than mothmen, poltergeists, or, you know, gym. The story follows Mike, a shy gay teen who moves to a new town in the conservative South. Mike finds a silver lining when he meets Sean – and discovers the terrifying ways that events can spiral out of control. About a seventeen-year-old boy who meets and falls for his first boyfriend; as their relationship deepens, he must decide whether to stay in the closet and remain quiet, safe and sad, or find the courage to admit who he truly is to his rural hometown and to himself. Obsessed with superheroes and Renaissance art, sixteen-year-old Adrian creates his own unique but secret comic-book-style superhero who happens to be gay, which thrusts him into a dangerous spotlight at his Texas high school. A girl apprentices at a summer theater festival hoping she’s finally found a place to belong, only to learn that neither talent nor love are as straightforward as she thinks. Riley Cavanaugh is many things: Punk rock. Snarky. Rebellious. And gender fluid. Some days Riley identifies as a boy, and others as a girl. The thing is…Riley isn’t exactly out yet. And between starting a new school and having a congressman father running for reelection in uber-conservative Orange County, the pressure — media and otherwise — is building up in Riley’s so-called “normal” life. On the advice of a therapist, Riley starts an anonymous blog to vent those pent-up feelings and tell the truth of what it’s REALLY like to be a gender-fluid teenager. But just as Riley’s starting to settle in at school — even developing feelings for a mysterious outcast — the blog goes viral, and an unnamed commenter discovers Riley’s real identity, threatening exposure. Riley must make a choice: walk away from what the blog has created — a lifeline, new friends, a cause to believe in — or stand up, come out, and risk everything. Your Machine Anatomy follows the unlikely friendship of two young women forged via fan fiction and message boards, and is told entirely in texts, chats, and blog posts. Gena and Finn (short for Stefanie) have little in common. Book-smart Gena is preparing to leave her posh boarding school for college; down-to-earth Finn is a twenty-something struggling to make ends meet in the big city. Gena’s romantic life is a series of reluctant one-night-stands; Finn is making a go of it with long-term boyfriend Charlie. But they share a passion for Up Below, one of those wonderful and terrible network dramas a la Supernatural (not that those are terrible, but oh you know what I mean). Gena is a darling of the fangirl scene, keeping a popular blog and writing fan fiction. Finn’s online life is a secret, even from Charlie. The pair spark an unlikely online friendship that deepens quickly (so quickly it scares them both), and as their individual “real” lives begin to fall apart, they increasingly seek shelter online, and with each other. OCD-afflicted Griffin is grieving his ex-boyfriend and first love, Theo, who has tragically drowned. To learn more about the person Theo was becoming, Griffin befriends Theo’s most recent boyfriend, Jackson, whom he previously wanted nothing to do with. What becomes a destructive relationship between the grieving pair will have readers questioning Griffin’s own version of the truth—both in terms of what people are willing to hide and what love really means. Quinn Roberts is a sixteen-year-old smart aleck and Hollywood hopeful whose only worry used to be writing convincing dialogue for the movies he made with his sister Annabeth. Of course, that was all before — before Quinn stopped going to school, before his mom started sleeping on the sofa…and before Annabeth was killed in a car accident. Enter Geoff, Quinn’s best friend who insists it’s time that Quinn came out — at least from hibernation. One haircut later, Geoff drags Quinn to his first college party, where instead of nursing his pain, he meets a guy — a hot one — and falls hard. What follows is an upside-down week in which Quinn begins imagining his future as a screenplay that might actually have a happily-ever-after ending — if, that is, he can finally step back into the starring role of his own life story. When Frannie Little eavesdrops on her parents fighting she discovers that her cousin Truman is gay, and his parents are so upset they are sending him to live with her family for the summer. At least, that’s what she thinks the story is…When he arrives, shy Frannie befriends this older boy, who is everything that she’s not – rich, confident, cynical, sophisticated. Together, they embark on a magical summer marked by slowly unraveling secrets. Now it’s your turn! Which of these fantastic diverse titles are at the very top of your to-be-read list? Let me know in the comments – I would love to hear from you! As I Descended has been on my TBR list every since I heard about the book. I love Robin Talley’s Lies We Tell Ourselves and I want to read everything Robin writes. Ella Zegarra recently posted…Dumplin’ de Julie Murphy ¿pronto por disney? I haven’t even heard of one of these books which always makes me worried…like, oh=oh I’m missing out on something good. Sigh. Hello new books, welcome to my never ending TBR. How could you do this to me?! These all sound fantastic! A Hidden Affinity, As I Descended, Unicorn Tracks and Your Machine Anatomy are all going straight on my TBR. I’ve added so many of these to my TBR list! Was only familiar with three of them prior to! Thanks for the recs! What an amazing list, Jen! Thanks for putting a WHOLE BUNCH of these on my radar! Hooray for more publishers finally noticing these diverse stories and voices!